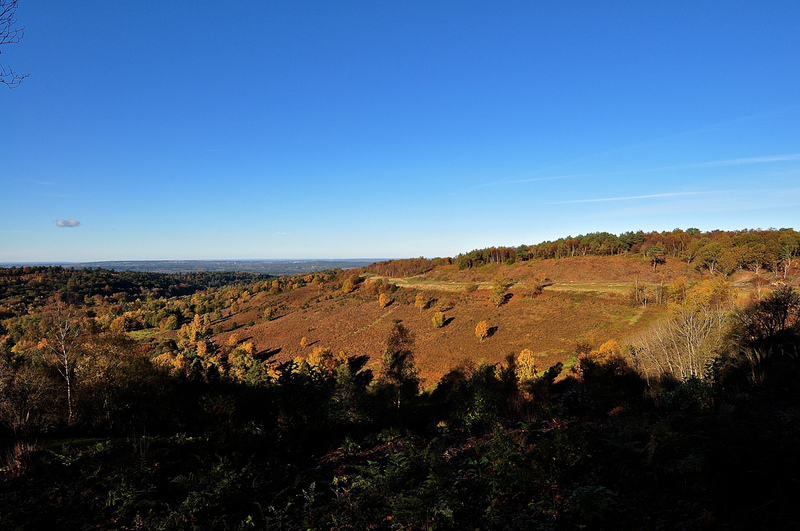 It’s a particular pleasure for me to return to Hindhead at least once a season. 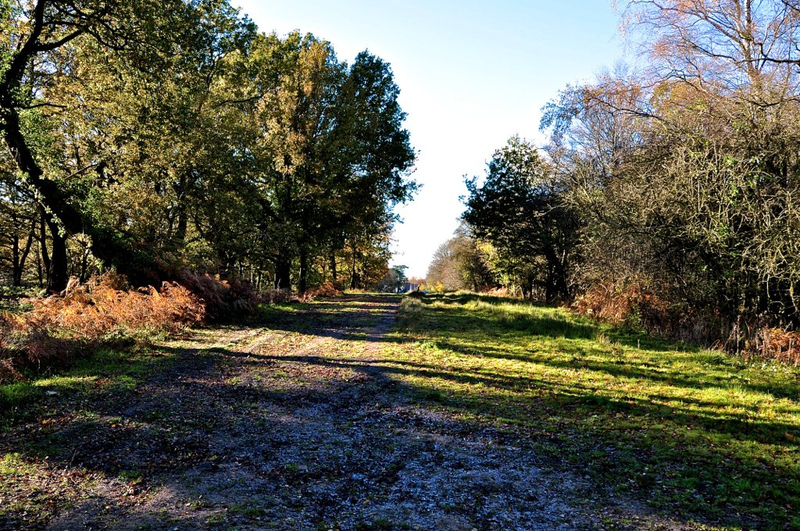 For years, I suffered in wearisome traffic jams on the A3 motorway at Hindhead’s crossroads – a notorious traffic congestion spot now thankfully bypassed by the Hindhead Tunnel. So I love the fact that the region has returned to an area of natural beauty once again, where tranquillity now reigns supreme. 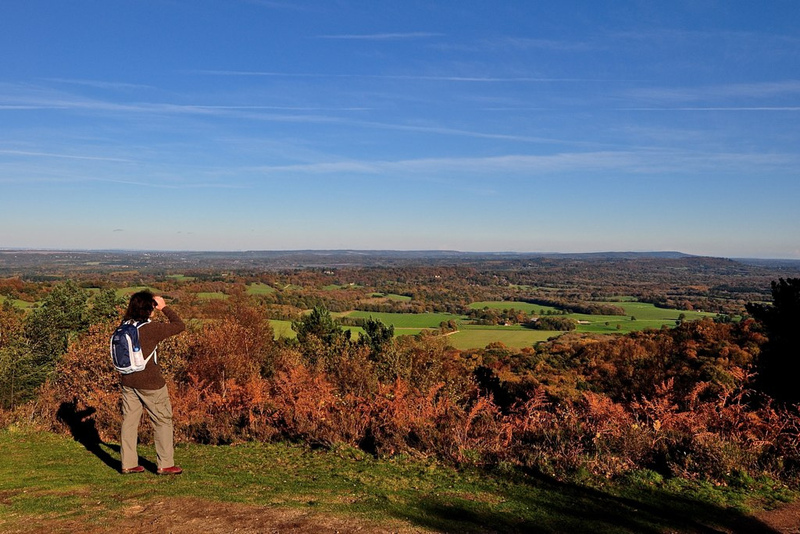 Hindhead* is actually the highest village in Surrey, lying on the border with Hampshire and Hindhead Commons are famous for the Devil’s Punch Bowl, a site of scientific interest and a natural amphitheatre. Legend has it that it was created by the Devil by scooping out a handful of earth to hurl at his arch enemy, Thor, God of Thunder. Whatever the truth of the matter, when the mist rises over the valley, it does tend to look like steam emanating from a cooking pot hence the term punch bowl. 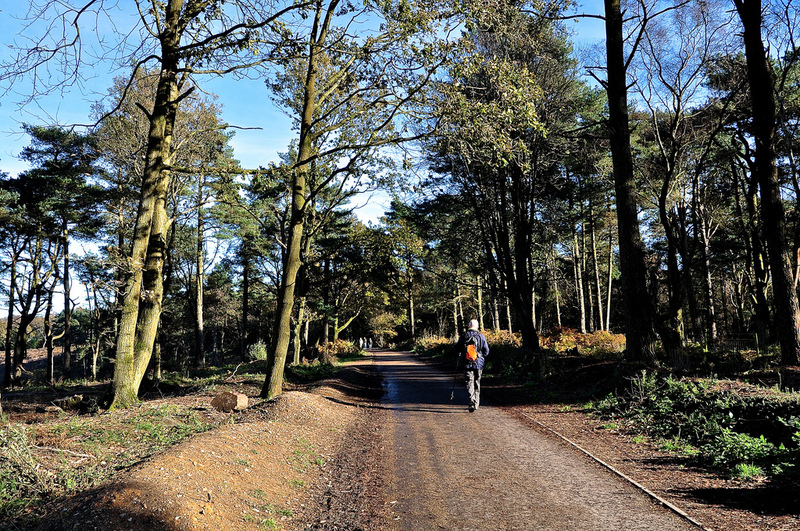 If you want an easy walk, perfect for all fitness levels, then perhaps the one mile Sailor’s Stroll might suit – and this is normally our starting point. It takes you to the Sailor’s Stone and a rather gruesome tale. An unnamed sailor was murdered here by three men in 1786 – the old London road was an area beset by highwaymen – and the stone commemorates the poor innocent victim. 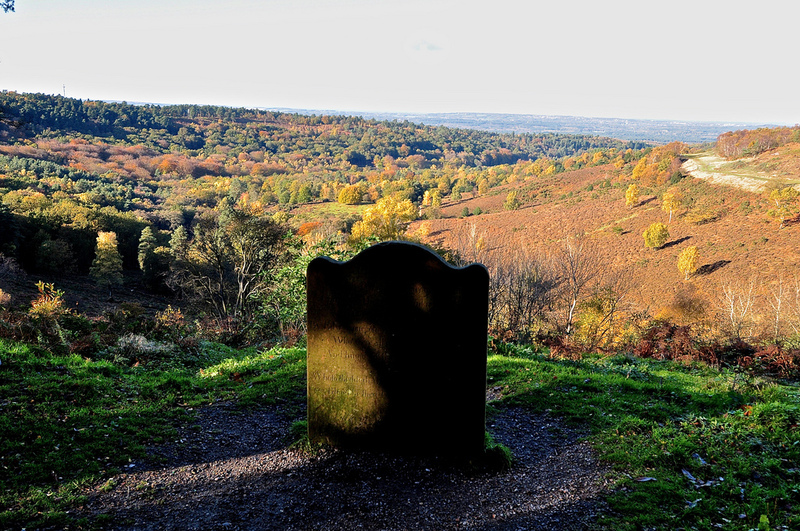 His murderers were caught and sentenced to hang in a gibbet on what is now known as Gibbet Hill, their remains left as a deterrent to other wrongdoers. 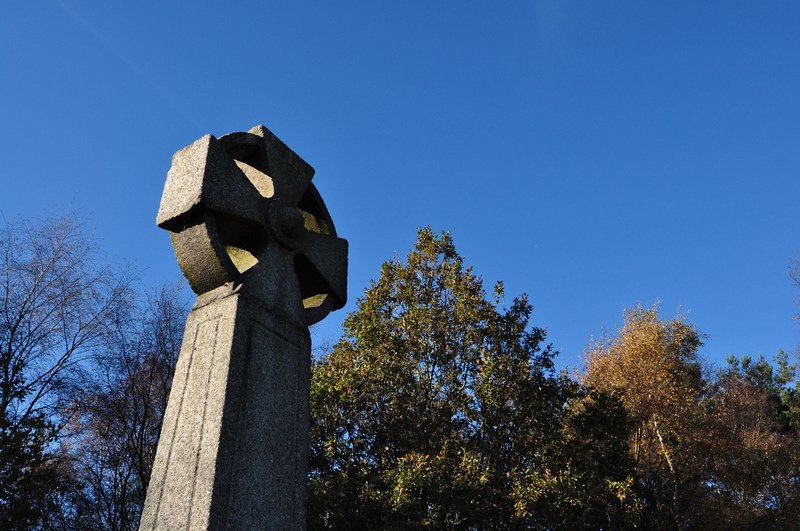 Superstitions and fears arose within the local population following these executions so Sir William Erle commissioned a Celtic Cross to be erected to allay these fears. 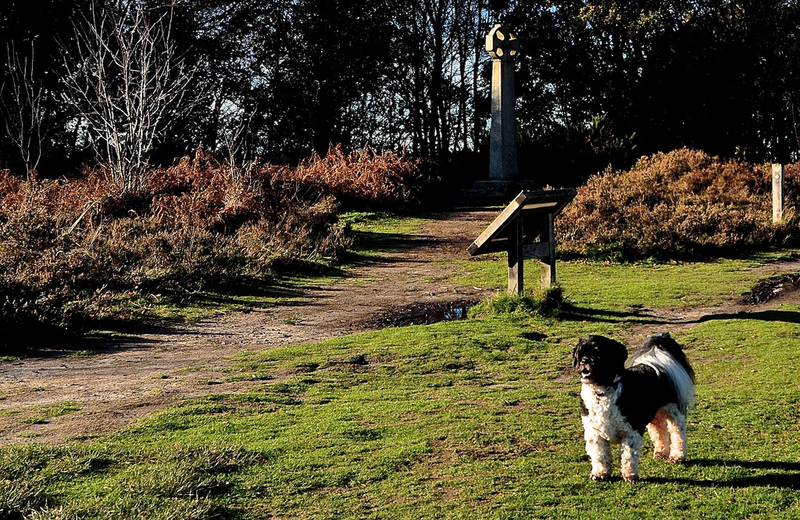 The cross is now Grade II listed and protected by English Heritage. It is the highest point of the valley, at 272m (894 ft) above sea level. There are a number of other walks you can do – even extending from this short stroll but its best to come properly attired in walking boots as the ground can be a wee bit uneven in parts with many paths down to the bottom of the valley being very steep. 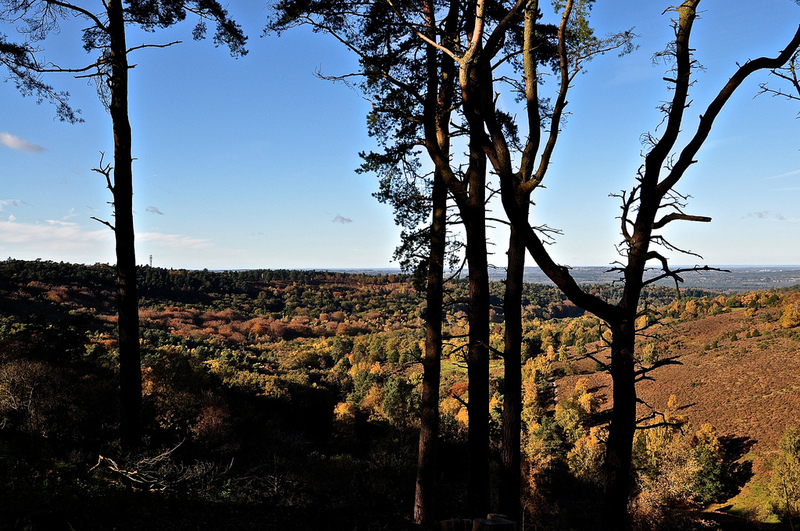 Hindhead Commons and The Devil’s Punchbowl – London Road, Hindhead, GU26 6AB – are looked after by the National Trust and was one of their first acquisitions in 1906. Indeed one of their co-founders, Sir Robert Hunter, lived nearby. There is parking on-site (GBP3.50) and a friendly cafe serving homemade cakes and sandwiches. Open from dawn to dusk. It’s a three-pawprint walk from The Hound’s point of view as he can wander around and sniff to his heart’s content, meeting up with large numbers of other doggies en route. 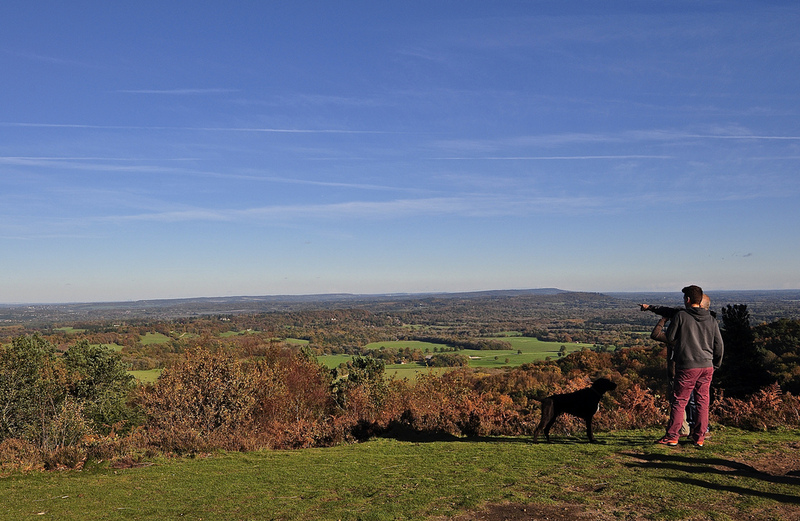 Hindhead was also home to Sir Arthur Conan Doyle, creator of Sherlock Holmes who wrote The Hound of the Baskevilles at nearby Undershaw, the common said to have particularly inspired the tale. My “Hound of the Basketcases” is named in his honour.